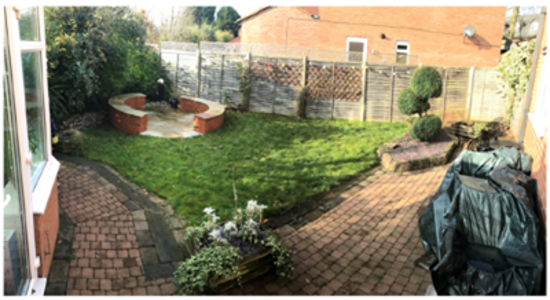 The clients garden was water logged and so was unsable during the winter months even on dry days. 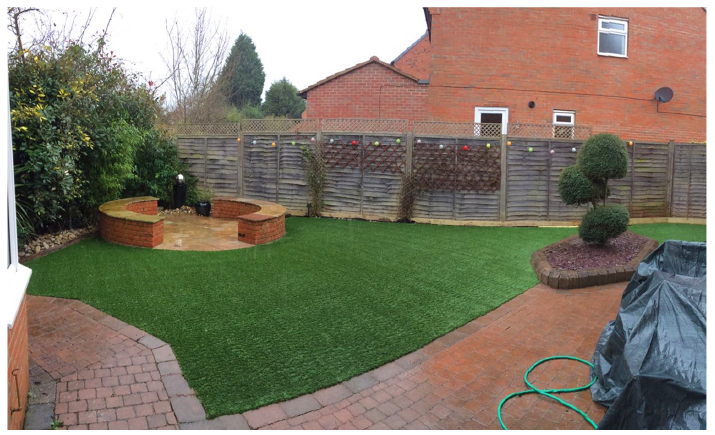 the solution of synthetic grass has enabled them to use the garden with their children all year round. Fully designed and installed by great outfloors. 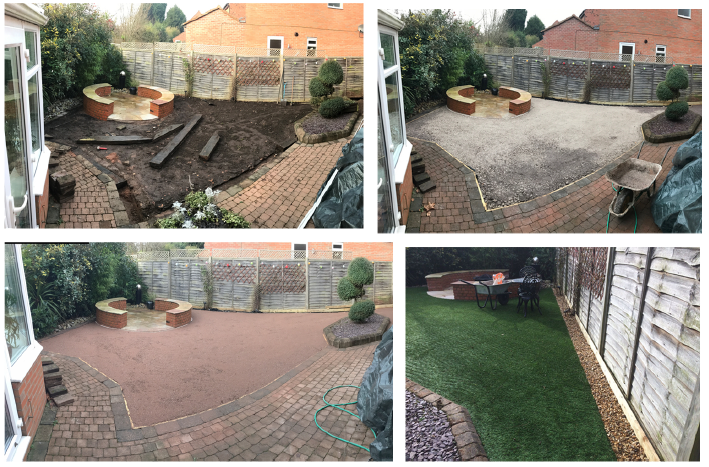 Remove turf decking and sleepers repair fencing and make an edge with pavers. Dig out ground, lay stone, sand and then compact. Pin down membrane, then lay the grass and fill in borders with gravel.